Cute puppy loves the shower! Cuteness overload! 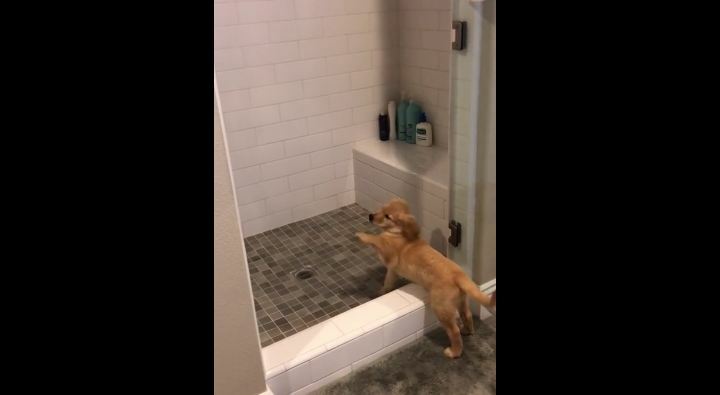 Golden retriever puppy loves to play in the shower. Cute puppy loves the shower! Cuteness overload!